The NGAGE SharePoint Analytics platform is now being used extensively in the legal space. With its extensibility to report on the adoption of virtually any custom or third party application it continues to gain traction. Here are some of headlines and highlights from our work in this space. 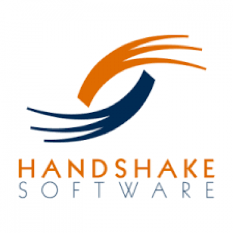 Around 50% of the top 200 law firms build their SharePoint portals using Handshake Software’s Web Parts. The upcoming Handshake product release will ship with an NGAGE plug-in. Meaning that, no matter how you’re skinning and deploying your Handshake Web Parts, it’s now extra simple to have NGAGE report exactly who, how and when they’re being used. The Handshake plug-in makes use of the NGAGE behavioral metadata configuration – making integration a rapid and completely code-free process. We’re excited to announce that we’re teaming up with Acrowire, LLC to deliver measurably successful SharePoint-based solutions within the legal profession. Acrowire has been building a strong reputation for designing and delivering successful SharePoint projects in the legal space. In addition to traditional technology consulting offerings, Acrowire’s ‘Envisioning’ service takes an innovative, collaborative approach to ensuring SharePoint projects are delivered on time, on budget and meet business objectives such as securing high levels of adoption. Where appropriate, the NGAGE analytics platform will now be introduced at the very start of an Envisioning program to capture hard data around how a firm is using and experiencing SharePoint. This data will serve as a frame of reference for defining a sustainable desired state that avoids current weaknesses. Contact Acrowire’s President Ted Theodoropolous to learn more. 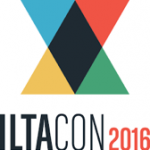 Even better, come see us at ILTACON 2016, Booth #121. NGAGE for iManage is the only analytics product to provide deep insights into exactly who, how and when this pervasive business application is being used across a law firm. Understand how well and how widely iManage is being used across your organization – so that you can compare local adoption trends and issues and intervene quickly and accurately as required. Zoom in on important behaviors (e.g. filing of emails) and identify priorities for improvement by office, practice or individual. Automatically highlight significant changes in an individual’s usage profile – and get alerts when potentially high risk behaviors (e.g. Export, Mail, Change Security) exceed daily thresholds. Leverage NGAGE’s ability to identify all content touched by an individual or connected to any Client/Matter – for example to support Off/On-Boarding, Client Release and the fulfillment of Protective/Destruction Orders. It’s important to note that NGAGE can now import and deliver integrated analytics across your all-time iManage document history held in multiple libraries. This generates a valuable ‘single source of the truth’ that can serve a wide range of Change Management, Information Governance, Risk and Compliance agendas.